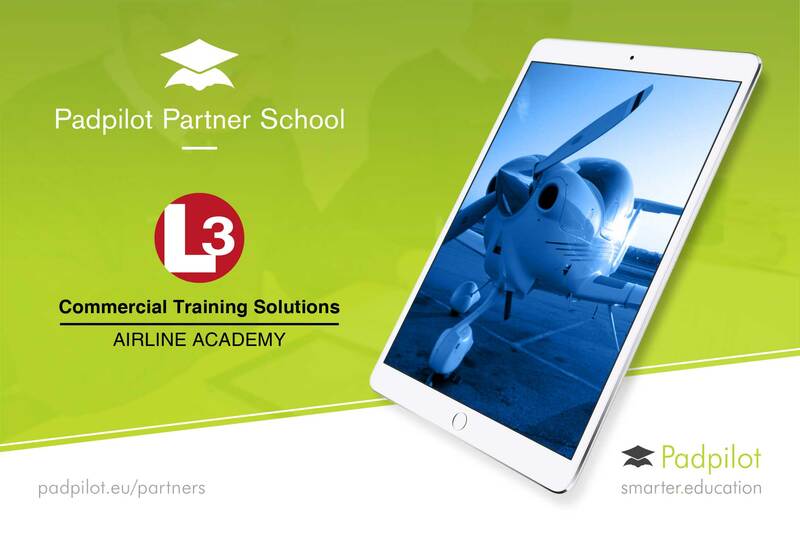 Padpilot has signed a new five-year contract with L3 Commercial Training Solutions (CTS) for its innovative digital learning platform for the delivery of all L3 Airline Academy’s cadet EASA ATPL theoretical knowledge training. Padpilot was selected by L3 CTS for its airline-focused provision, delivered through a visual and interactive platform, and a shared commitment to the delivery of world-class pilot training. “We are proud to have been chosen to supply ATPL (A) educational materials to one of the world’s leading ATOs,” said Graham Cownie, Managing Director of Padpilot. Colin Rydon, VP Training, Safety and Compliance at L3 CTS, said, “At L3 Airline Academy we pride ourselves on providing the highest quality commercial pilot training in the market.